Now that your data warehouse is built, populated, and ready, you need to test it. How do you test a data warehouse? Where do you start? There are a billion numbers and strings in the data warehouse and how do you verify them all? Can you just verify a few rows and then declare that the data warehouse is fit for purpose? Of course not. So how do we do it? Step 1. You ignore the dim key column and just get the sum of measure1 and sum of measure2. Say the total is 5,000,000 for measure1 and 4,000 for measure2. You then verify these 2 numbers against the source system. If you don’t get this step done don’t move to the next step. If the grand total is wrong there’s no point getting the break down. Of course the SQL doesn’t give you the total; you calculate the total yourself. You then verify this output against the source system. a) Is there a missing member, or an extra member? b) Are the numbers for measure1 and measure2 all correct? Step 2 is actually quite a big task. The number of queries is the same as the number of attributes. For a data warehouse with 10 dimensions containing 10 attributes each, you will have to produce 100 queries. So instead of 1 billion rows we only get say 1000 rows. So from this (value1a, value2a) set which contains 1000 rows we chose 3 rows. We then verify all the measures in these 3 rows. Then we do the same thing with fact2, fact3, etc until we have done all the fact tables in the data warehouse. When you did step 1 for example, you found that the total doesn’t match with the source systems. So how do you find out the incorrect rows? The best way is using a cube. You can use reports, but it would be a tedious process. Whereas using a cube is very easy. I describe the process here. Figure 4. Drill down of measure1 discrepancy by cost centre. In figure 4 we are clear that the cause of this £18,755 difference is cost centre 4 and 6. All the other cost centres are spot on. They fully reconcile, i.e. the source is equal to the target. 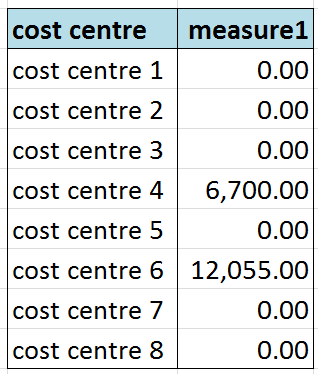 In cost centre 4 and 6 that the total are not the same. 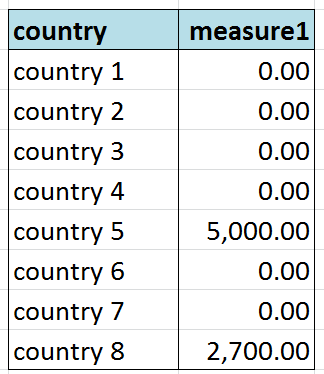 So you know that the 6700 difference in cost centre 4 is caused by country 5 and country 8. 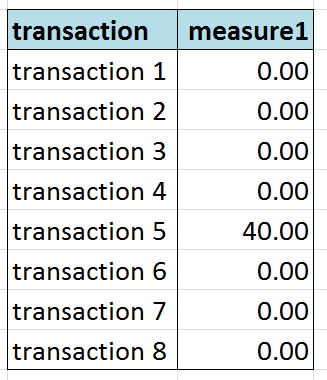 Once we found which transactions are causing the difference, we can investigate that transaction in the source system, and comparing it to the data warehouse. Is it because of currency conversion? Is it because of business rule? Is the because of incorrect business / surrogate key? Once we found the cause of the issue, we can correct the data integration program (ETL) and reload the warehouse again. And refresh the cube. Hopefully this time the total discrepancy for measure1 at the highest level will be 0. And we can then move on to the next measure. I hope this provide a little bit of guidance of how to test a data warehouse. If you have any question or different opinion, or would like to add comments please don’t hesitate to contact me on vrainardi@gmail.com or via the comment button. Excellent. Very usefull. Expecting more from you….